Did you know your body’s stress response can’t tell the difference between physical and emotional trauma? Doc Nuzum shares more on this important subject and 7th pillar in INSPIRED health - Emotional (and spiritual) health. Can having a wide range of positive emotions actually help diminish inflammation? What about negative emotions? Get the scoop plus 9 tips to being positive. Do you have built up rage or anxiety? Discover how suppressed anger affects your body and how to release your anger in a positive fashion with Dr. Nuzum. What is self-care & why is it important? Discover the truth about why self-care matters while we bust myths surrounding self-care in this podcast episode. Did you know that essential oils have been used since ancient times specifically for spiritual reflection? Discover the best oils for meditation and prayer. Is there a connection between hope and healing? Discover what science says about how your mind, moods, and thoughts can directly affect your body. In this podcast we’re talking about LOVE! Specifically, self-love, which is scientifically proven to improve your health. Get the scoop here. Do you overthink everything causing yourself anxiety? It’s all part of a bigger emotional loop long recognized by Oriental medicine. Doc explains here. [Podcast] Empowering You Organically Ep. 12: Sugar Addiction is REAL and What to Do About It! Did you know that sugar may be more addictive than cocaine and heroin? Get the scoop on sugar addiction with expert Dr. Susan Peirce Thompson. Join Jon & TeriAnn as they dig deep into goal setting as well as rituals, schedules, and interesting statistics about New Year’s resolutions. Join Dr. Susan Peirce Thompson for the psychology of goal setting, types of goals, the levels of change, keystone habits, and much more! As we approach the new year, guest expert Dr. Susan Peirce Thompson shares her “bright line” eating approach to overcoming food addiction and weight loss. Do you find staying healthy during the holidays a challenge? Discover some helpful holiday hacks and tips that can keep you feeling your best. Did you know your adrenals take over hormone production from your ovaries? Here’s how to avoid adrenal fatigue and make the transition to menopause easier. From around age 35, most women will see some signs and symptoms of menopause as their hormone levels begin to fluctuate. These are the most common. All men need a little estrogen to balance testosterone, but too much leads to problems. Tune in to discover 5 common signs of too much estrogen in men. High estrogen in women can lead to a number of problems, but what are some of the common signs a woman is estrogen dominant? Find out from Doc. Is stress having a negative effect on your health? It all depends on how you look at it. 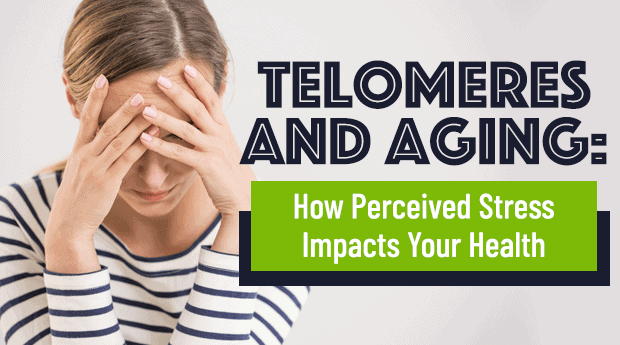 Discover the connection between stress, telomeres and aging. If you struggle with your weight or body image and spend hours agonizing about what to eat or what not to eat, then this article might be for you. Emotional eating is extremely common. Discover the top reasons for emotional eating and some tips to help break the cycle. Forgiveness. It seems simple but forgiving another can be challenging as it requires confrontation & demands courage. Here are 7 tips on how to forgive. We cover the next letter in the INSPIRED Health Formula: E, Emotions. Our body’s stress response to trauma is the same, whether it’s physical or emotional. Discover 7 ways to deal with stress and cultivate the “Relaxation Response” for a healthy, happy you all year long. Are you among the millions of people overwhelmed this season? Here are 12 tips to reduce holiday stress and get your real holiday spirit back. Chronic stress is behind many of the leading causes of death. Discover the class of herbs that support the body’s efforts to combat prolonged stress. Instead of reaching for that second (or third) cup of coffee, check out these “Top 5” essential oils for energy & an emotional boost instead. Discover for yourself why the frankincense tree (Boswellia) is one of the world’s most important plant species and how it can help elevate your mood! What Is Ayurveda? An ancient healing tradition from India with some valuable health lessons for today. Gut health impacts more than just your physical health. Researchers are discovering a number of ways that gut bacteria impacts mood and mental wellbeing. Anxiety disorders affect millions of Americans. Discover the best essential oils for anxiety that positively impact your physical and mental health.